Why Michael B. Jordan went to therapy after playing Killmonger in Black Panther? 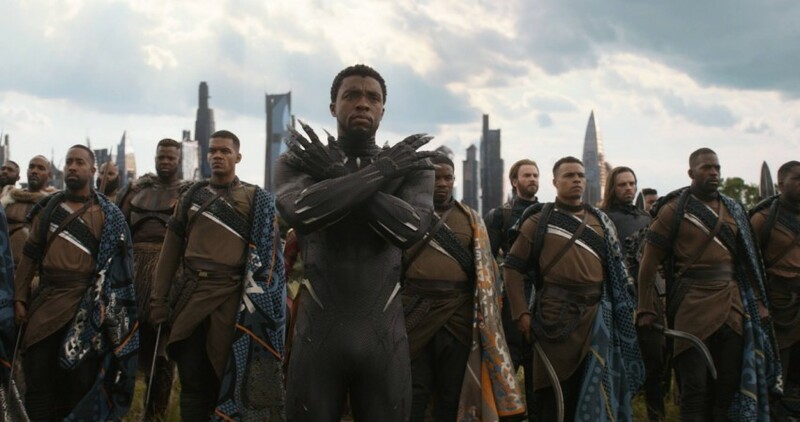 Black Panther has won Best Special Visual Effects at BAFTAs and is now heading towards the big one — the 91st Academy Awards. The journey to create a superhero movie that resonates with everyone is not an easy task. Black Panther movie star, Michael B. Jordan recently opened up about his character in the MCU movie and how the role affected him. For his role in Black Panther, Michael Jordan has won praise from both critics and fans alike. He has also won prestigious accolades like the MTV Movie & TV Awards for Best Villain, San Francisco Film Critics award for Best Supporting Actor, Teen Choice Awards for Choice Villain, and others. However, playing the iconic Killmonger was not an easy task for Michael Jordan. The 31-year-old Jordan who has previously starred in movies like Red Tails and Fantastic Four, recently said that after he completed filming for his part in Black Panther, he needed therapy to move past the role. "I was by myself, isolating myself. I spent a lot of time alone. I figured Erik [Killmonger], his childhood growing up was pretty lonely. He didn't have a lot of people he could talk to about this place called Wakanda that didn't exist," via USA Today. During Michael Jordan's recent appearance at Oprah Winfrey's TV special, Jordan openly stated about the acting process and how it affected his space. "I didn't have a 'process' for being Killmonger. I just did whatever I felt I needed to do or whatever I felt was right in the moment every step of the way. [However], I didn't have an escape plan, either. When it was all over, I think just being in that kind of mind state ... it caught up with me," he said further. In Ryan Coogler's Black Panther movie, Michael B. Jordan played the role of N'Jadaka/ Erik 'Killmonger' Stevens. As per the story, Erik is a US black-ops soldier who seeks to overthrow his cousin T'Challa/Black Panther (Chadwick Boseman) because he wants to open Wakanda for everyone. Apart from the emotional downhill, the filming was also tough for Michael Jordan. Portraying N'Jadaka had not been an easy task for him, who had wanted to play a villain for a long time. As per Jordan, Killmonger is strategic, patient, thoughtful, and tried to a T. His ritualistic tribal markings on his chest and torso resemble the scar tattoos of the Surma and Mursi tribes of Ethiopia. Those tattoos consisted of 90 individual sculpted silicone molds that took nearly two-and-a-half hours to apply and after the filming, Jordan had to sit in the sauna for two straight hours to remove all the prosthetics.